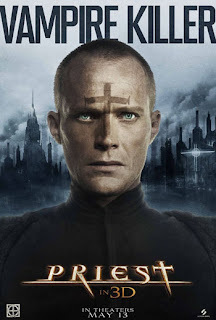 Priest, a kind of apocalyptic thriller genre film that set in a world devastated by the middle of nowhere after the battle between humans and vampires. 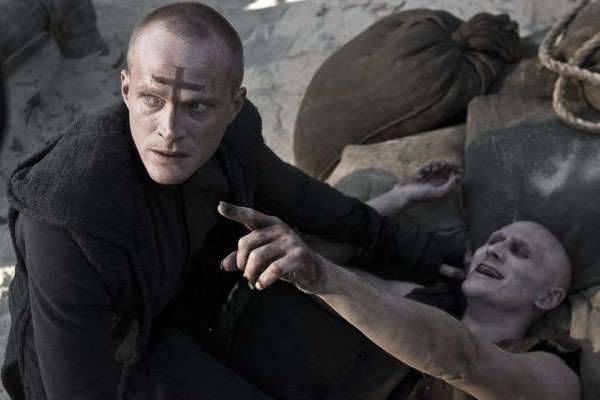 The story centered on the warrior priest (priest), legendary (Paul Bettany) who managed to survive the war last vampire, now ordinary life and mingle with locals in a city led by a church. When her niece (Lily Collins) was abducted by a bunch of vampires, Priest discard sacred promise to save his nephew before he turned into one of them. He then formed a group of her niece's boyfriend (Cam Gingandet), a sheriff who hooked soldiers shot and senior pastor (Maggie Q) who has the ability to fight another world. They then went to a rescue or eradication of every vampire that they encountered. But the vampires this time seems different from the Priest face first, and now they are also led by a vampire who is known as Black Hat, which was once also a warrior priest who is very cruel.